For immediate release…our new 2014 activities flyer is now available! Thanks to Tom for designing a colorful new flyer for the WD9BSA club station. All of our major station activities are included with brief descriptions and dates. We have a full calendar of events planned. These can be viewed by month on our Calendar page. The 2014 flyer is PDF format so it should be easy to view on any platform desktop or media device. It can also be downloaded or printed off to distribute to any interested parties. So, take a moment to check it out and maybe even make a couple copies for your friends! 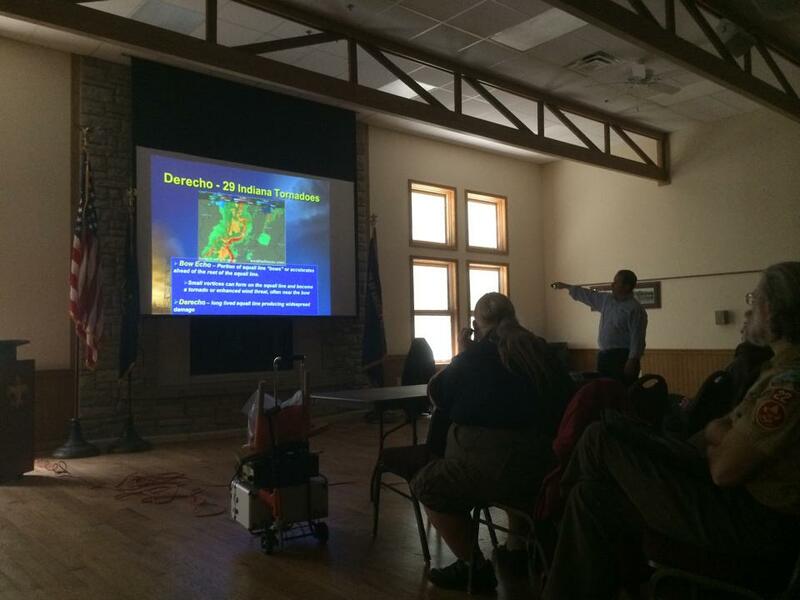 Our first every Skywarn training class went off as a big success. I counted 17 total guests in attendance last Saturday. We had hams come from as far as Winchester, IN to see the presentation. Dave Tucek, meteorologist with the National Weather Service in Indianapolis, did an excellent job of presenting material that was very interesting and relevant to both radio amateurs and Scouts. It was good to see many members of the WD9BSA club in attendance. What also impressed me was the number of non-hams in attendance. I counted about 5 Cub/Boy Scouts in the audience. There were also multiple adult Scout leaders and one full-time staff member from Camp K. Part of our mission is to bring amateur radio to Scouts, but we’re also bringing useful information of to others in the process! Weather’s number two killer is tornadoes. Contrary to popular belief, they can occur in all 50 states, at any time of the day, and in any season of the year. More people are injured by the flying debris than the actual physical effects of the tornado. They can be identified bye hook-shaped echoes on doppler radar and wall clouds forming below the local cloud base. The safety quote to remember here is, “Get in, get down, and cover up!” Walls offer layers of protection, so keep as many between you and the outside as possible. 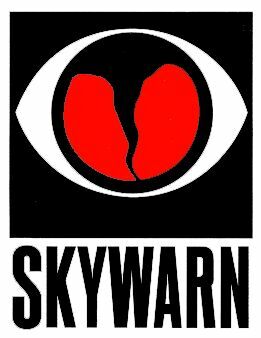 I hope this brief review of the Skywarn training has been informative and helpful. Dave said he’d definitely be interested in doing a presentation again. I could tell that he is very passionate about his occupation. Thanks for your time and enthusiasm, Dave! The WD9BSA Scout Radio Station is pleased to announce that we are hosting a Skywarn weather class. David T. from the National Weather Service will be presenting weather training material that’s specifically tailored towards Scouters. As Scouts we spend a lot of time outdoors in all weather conditions. This class should help us learn to identify some of the potentially dangerous weather conditions we might encounter in our activities. The date is this Saturday (3/22/14) in the Camp Belzer Activity Center upstairs. The presentation begins at 1:00 PM and should last about an hour. It’s available to all , but with a preference to Scouts and volunteers. No pre-registration is required. We’re hoping for a good turnout of Scouts and club members. Following the event we have permission to do some work on the station downstairs. We have the new 500′ roll of coax and many newly-donated items from the family of Joe Lobraico K9OOA, SK. If weather is permitting we may be able to do so station spring maintenance. Looking forward to seeing everyone at important and informative even. 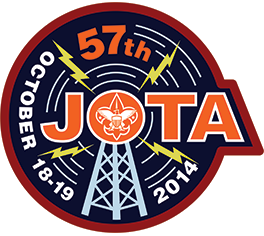 The WD9BSA Bert Johnson Memorial Scout Radio Station has recently become the beneficiary of multiple complete radio stations and several additional pieces of related amateur radio gear. 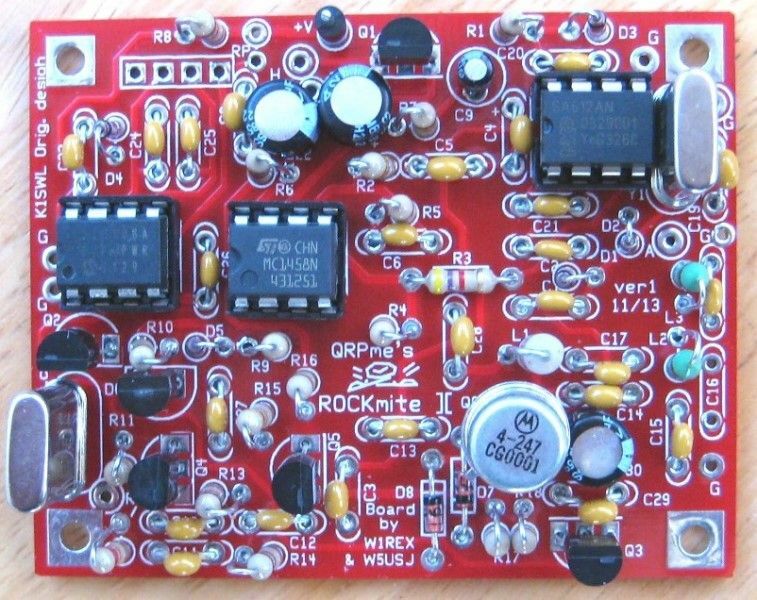 This gear will go a long way towards improving our fixed Camp Belzer radio station and also provide enough pieces to assemble at least one portable field station. This is something we can take out on location to various Scout events within the council. The new gear will really aid us in our mission of making amateur radio available to all Scouts and also creating general awareness of amateur radio and how it fits into Scouting principles. We are very thankful to the family of Joe Lobraico K9OOA, now an SK. As he was a brother ham we share in their loss and greatly appreciate their consideration of our station in providing to us this gear. 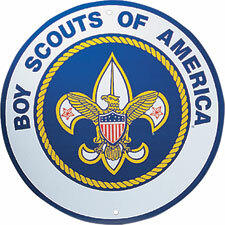 I understand he was a friend and mentor to our own members Tom and Dave when they were Boy Scouts some years ago. They grew up with Joe’s sons Mike and Joey, and his daughter, Mary (also a ham). Joe was a Boy Scout leader of Troop 173 along with our station’s namesake, Bert Johnson. He and his wife Betty K9OOB hosted the free Broad Ripple Tailgater Hamfest at his own home in Broad Ripple, IN. His YL must be more understanding than mine! 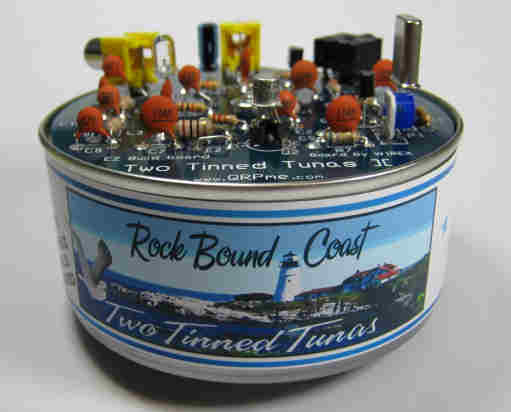 From all the kind words I’ve heard, his reputation certainly preceded him as a true ambassador of ham radio. Since we’ve built the WD9BSA station entirely through donations, it’s always exciting when we receive some new equipment. I’m not going to include every individual piece included on the list, but some of them are highlighted below. This way we can check out some of the manuals online (there was also a big bag of manuals included with the gear) and get familiar with the items before installing in the station. Many of these manuals have already been uploaded to our Facebook Page. Joe owned some very nice equipment and we’ll sure be proud to carry on his devotion to the hobby with this gear!